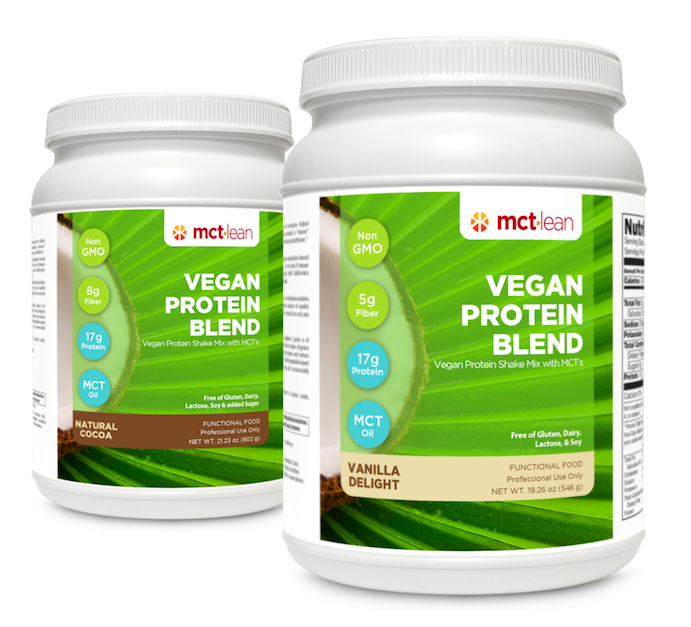 MCT Lean Vegan Protein Blend is a delicious, 100% plant-based, non-GMO, high-fiber, functional food. It is free of gluten, dairy, lactose, soy, and corn, making it one of the healthiest choices for on-the-go energy, recovery drinks, and meal replacements. MCT Lean’s proprietary vegan blend is made up of a nutritionally dense, highly digestible pea-rice protein blend with an amino acid profile that enhances lean body mass. It actually rivals that of whey! Formulated by board-certified health counselor, athlete, and mother of four, Karen Malkin. Our vegan protein powder wins on taste, nutrition, and convenience. MCT Lean Vegan Protein Blend goes great with MCT Lean MCT Oil. It’s the perfect pair! We proudly stand behind our superior products. - 100% Pharmaceutical Grade Verified by the U.S. Pharmacopeial Convention (USP). Fewer than 1% of the 55,000 or so supplements on the market today bear this recognition. - Food Grade NF (a book of pharmacopeial standards for dietary supplements). - Packaged in eco-friendly glass bottles, FREE OF BPAs and other harmful chemicals. - MEET OR EXCEED FDA GMP Quality Standards, adheres to strict requirements for product quality. Sign up today and receive an exclusive MCT Lean recipe book and a discount code for 15% off your next order!